The latest viral ads from Nike, Red Bull and Cat. 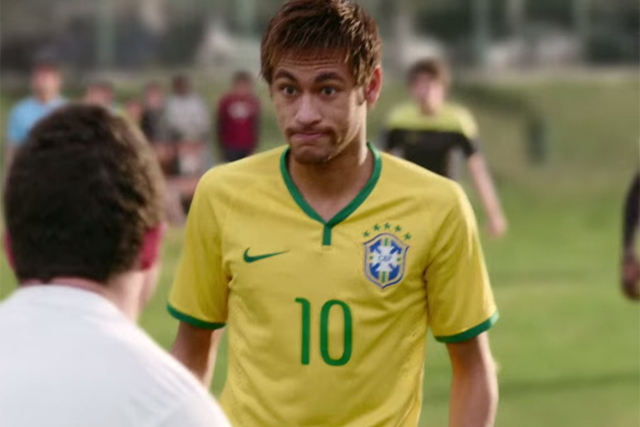 Nike's second film under the #riskeverything banner is a marked improvement on the first. Ronaldo, Neymar and Rooney, who starred in the previous film, are back again alongside a host of stars including Ibrahimovic, Iniesta and special guests such as NBA star Kobe Bryant. The film is about young footballers imagining they are world famous players during a game. Mountain biker ace Brandon Semenuk and his Rad Company crew of riders showcase their skills in what Red Bull Media House, which produced the film, describes as "some of the highest level of riding ever caught on camera". Five Cat machines play a massive version of Jenga to show off their dexterity. Good silly fun which has racked up 1.7m YouTube views, a strong performance for a B2B brand.